Provisional licence, driving lessons, driving theory test and then the driving test — and that’s all before you factor in the cost of your first car and the cost of car insurance. Learning to drive a car in the UK isn’t cheap — our research has found that the average cost can run into the thousands. Scroll down to see how the cost of learning to drive breaks down so that you can be prepared. Fortunately, learning to drive is now slightly more affordable than it used to be. After changes were introduced in October 2014, the provisional licence cost now varies from £34 for online applications to £43 for postal applications. The cost of a provisional licence was previously a flat rate of £50 for all applications. 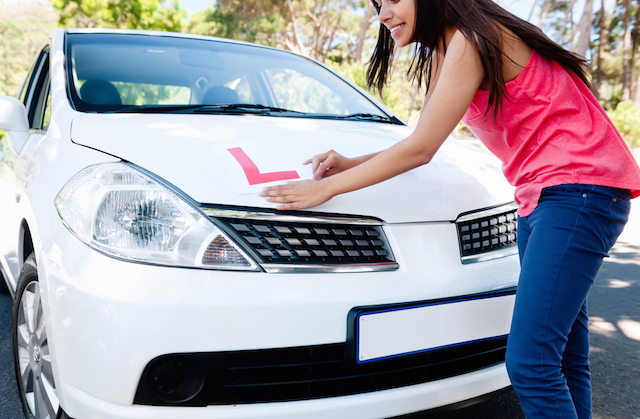 Learner drivers can apply for a provisional licence three months before their 16th birthday, but remember you can't get behind the wheel until you're 17. According to the Driving Standards Agency, the average learner driver needs 47 lessons and 22 hours of private practice before they pass their test. So how much are driving lessons? Driving lessons costs can vary between £20 and £30 — our calculations use the average AA lesson price of £24. Block-booking or having two-hour lessons can often get you discounts, though make sure you’re comfortable with the driving instructor before committing. Make sure you compare driving lesson prices before committing to make sure you're getting a good deal. Intensive driving courses — where you learn to drive in under a week or two — can work out cheaper. These courses can involve up to six hours driving a day, so it’s worth discussing with a course advisor before signing up. The price of taking the driving theory test — which examines your knowledge of essential driving skills, traffic signs, and The Highway Code — costs a flat £23 for cars and motorbikes. You need to book and pass your driving theory test before you’re able to take your practical driving test. What is the cost of a driving test? How much is a practical driving test? Driving tests cost £62 on weekdays and £75 for on evenings, weekends and Bank Holidays — if you intend to use your driving instructor’s car you’ll need to book their time as well as the test. Many people choose to practice for an hour before the test, which can quickly increase the cost. Most drivers pass on their second attempt, so budget for having to take the test twice. After passing the test, car insurance is by far the biggest cost for young drivers to contend with — average comprehensive premiums for young drivers aged under 25 are £1,544 (Consumer Intelligence Price Index December 2018), with the cost rising in risky areas and for higher performance vehicles. From choosing the right car to drive to getting an extra driving qualification, see our 9 top tips to finding cheap car insurance for young drivers. When buying a first car, the type of car you choose will have a big impact on how much you’ll pay for insurance — see our guide to the ten cheapest cars to insure for more.